Father’s Day is the celebration of the sacrifices our fathers did for us. It is also a commemoration of the father-figures who have stood beside us along the way. For those whose fathers have already left this earthly realm, have been away for so long, or were simply never there for them, Father’s Day may come mixed with the feeling of longing or sadness, it may be just an opportunity to get awesome gadgets for the man but in this situation, one must be reminded of Jesus Christ and learn from the way he lived. Jesus Christ was born without his biological father on earth. He may have had Joseph as a father figure, but being conceived through the power of the Almighty God through the Holy Spirit does not give Jesus and Joseph any blood relations. So he was in a sense biologically fatherless. Despite that, Jesus Christ embraced his unseen Father as he walked the earth. 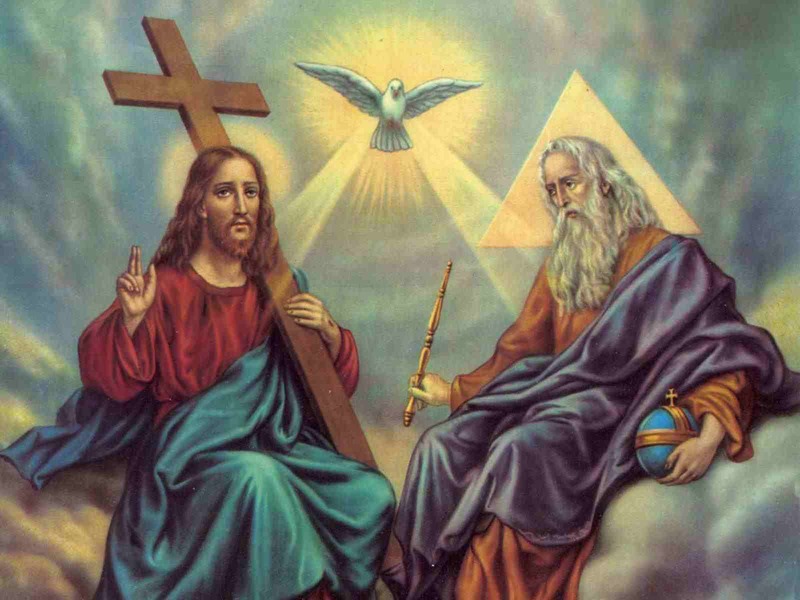 Thus, he has symbolically become one with the Father, as the Bible had made us understand in its teaching about the Holy Trinity. No matter where your father is now, we should always remember that there is one man who is above all and had transcended the love of fatherhood. That is Jesus Christ. Jesus Christ exemplifies the traits that a father should have. He is guided by morality and a leader by example. He never hesitated to give up his life too for the people who have looked up to him. The path Jesus Christ walked was filled with goodness in every stride. He basically practiced what he preached. Along the way, he influenced a lot people to follow the way to righteousness. Just like a father who is symbolically the head of the family in the Christian tradition, Jesus Christ led the community through his words and examples. However, his ultimate display of fatherhood was when he sacrificed himself on the cross to cleanse us all from our sins. For a father, no matter how sinful or imperfect his child may be, he would still do everything to save his child. That’s how Jesus Christ acted despite our hardheaded and sinful nature. Now going back to the relationship of Jesus and Joseph, even though their blood was not related, the Son of Man still revered his father figure. In Joseph’s part, he treated Jesus Christ as his own. Looking beyond this display, God still makes a way for us to experience fatherhood despite our biological fathers are not with us physically. In today’s society, there are mothers—who either remain to be single, were widowed early, or separated from their partners—who are fulfilling even the responsibility of a father. This applies as well to a relative, a mere neighbor or a friend who has taken up the mantle of fatherhood to support us. In other words, no matter what might be the reason is behind the absence of your father by your side, God continuously makes a way for us to experience what it is like to have one. Therefore, we must always glorify Him, and take the experiences of Jesus Christ in our hearts and in our acts. Even if there is no one physically whom you may consider a father to you, do not despair. Always remember Jesus Christ who has acted far more than a human father would be to a child, and having a Heavenly Father who is watching and guiding us all the time. It is important that we are constantly guided by Jesus Christ’s actions. In mirroring his acts, we could also become a good father to our families or people who depend from us, a good leader by example in our community, and a good son or daughter to our parents. Posted in Personal Development and tagged Catholic, Christian, Father's Day.